Fast Company: Is Flat Design Already Passé? Source: John Brownlee, Is Flat Design Already Passé?, Fast Company, Co.DESIGN, April 11, 2014, http://www.fastcodesign.com/3028944/is-flat-design-already-passe. Blog Note: A skeuomorph is a derivative object that retains ornamental design cues from structures that were necessary in the original. Examples include pottery embellished with imitation rivets reminiscent of similar pots made of metal and a software calendar that imitates the appearance of binding on a paper desk calendar (see image to the right). Over the last few years, we’ve seen an upheaval in the way computer interfaces are designed. Skeuomorphism is out, and flat is in. But have we gone too far? Perhaps we’ve taken the skeuomorphic death hunts as far as they can go, and its high time we usher in a new era of post-flat digital design. Ever since the original Macintosh redefined the way we interact with computers by creating a virtual desktop, computer interfaces have largely been skeuomorphic by mimicking the look of real-world objects. In the beginning, computer displays were limited in resolution and color, so the goal was to make computer interfaces look as realistic as possible. And since most computer users weren’t experienced yet, skeuomorphism became a valuable tool to help people understand digital interfaces. But skeuomorphism didn’t make sense once photo-realistic computer displays became ubiquitous. Computers have no problem tricking us into thinking that we’re looking at something real so we don’t need to use tacky design tricks like fake stitching or Corinthian leather to fool us into thinking our displays are better than they are. In addition, most people have grown up in a world where digital interfaces are common. UI elements don’t have to look like real-world objects anymore for people to understand them. This is why Jony Ive took over the design of Apple’s iOS and OS X operating systems and began a relentless purge of the numerous skeuomorphic design elements that his predecessor, skeuomaniac Scott Forstall, created. To quote Fast Company’s own John Pavlus, “skeuomorphism is a solution to a problem that iOS no longer has,” and that’s true of other operating systems and apps too. Google, Microsoft, Twitter, Facebook, Dropbox, even Samsung, they’re all embracing flat design, throwing out the textures and gradients that once defined their products, in favor of solid hues and typography-driven design. This is, without a doubt, a good thing. Skeuomorphism led to some exceedingly one-dimensional designs, such as iOS 6’s execrable billiard-style Game Center design. But in an excellent post, Collective Ray designer Wells Riley argues that things are going too far. Flat design is essentially as far away from skeuomorphism as you can get. Compare iOS 7’s bold colors, unadorned icons, transparent overlays, and typography-based design to its immediate precessor, iOS 6. Where once every app on iOS had fake reflections, quasi-realistic textures, drop shadows, and pseudo-3-D elements, iOS 7 uses pure colors, no gradients, no shadows, and embraces the 2-D nature of a modern smartphone display. But while flat design has made iOS 7 look remarkably consistent, it has also removed a lot of personality from the operating system. It’s like the Gropius house, when the old iOS 6 was a circus funhouse. Maybe it needs to get a little bit of that sense of madness back. • Hierarchy defined using size and composition along with color. • Affordant buttons, forms, and interactive elements. • Skeuomorphs to represent 1:1 analogs to real-life objects (the curl of an e-book page, for example) in the name of user delight. • Strong emphasis on content, not ornamentation. Riley’s argument is that flat design has allowed digital designers to brush the slate clean in terms of how they approach their work, but it has also hindered a sense of wonder and whimsy. Software should still strongly emphasizes content, color, and typography over ornamentation, but why is, say, the curl of a page when you’re reading an e-book such a crime, when it so clearly gives users delight? Maybe Riley has a point. 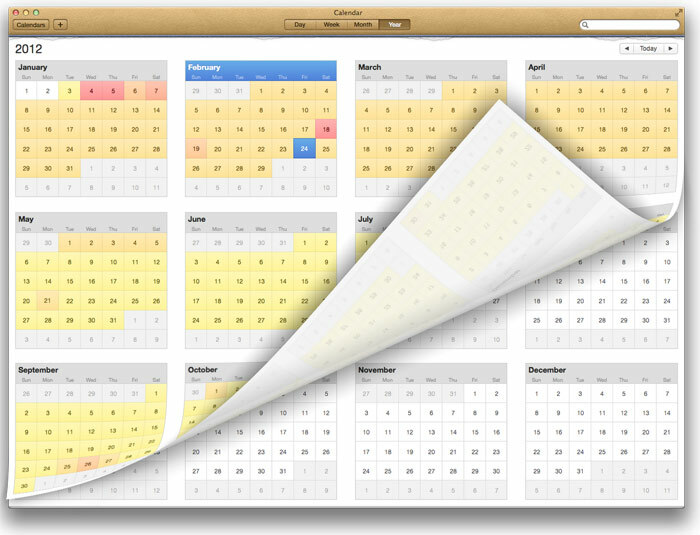 Why should mad ol’ Scott Forstall be allowed to ruin skeuomorphism for everyone? With the lightest of brush strokes, skeuomorphism can be used to bring back a sense of personality and joy to our apps. For those of us growing listless in the wake of countless nearly identical “flat” app designs, he makes a good point. It is time for the pendulum towards flat and away from skeuomorphism to swing back, if only a little bit.